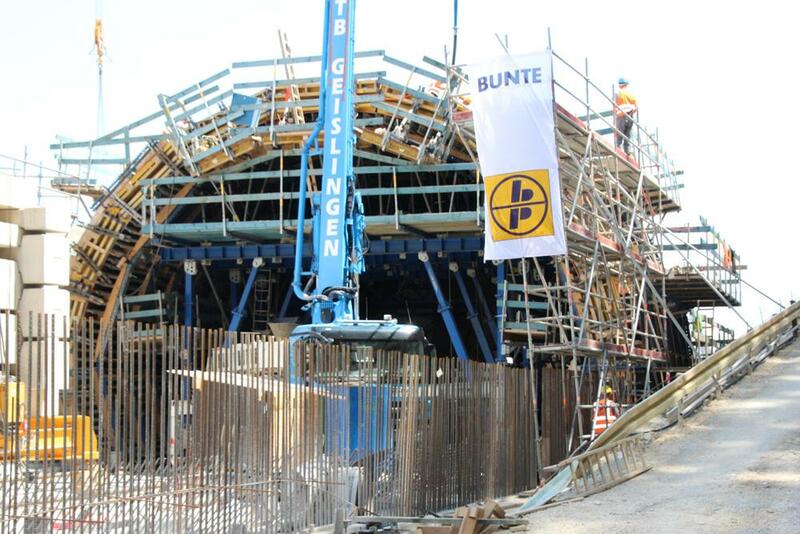 In Baden-Württemberg (Germany), the new railyway route "Wendlingen – Ulm" is under construction. The longest part of the route – 21 kilometres – leads over the plateau of the low mountain range Swabian Alps. 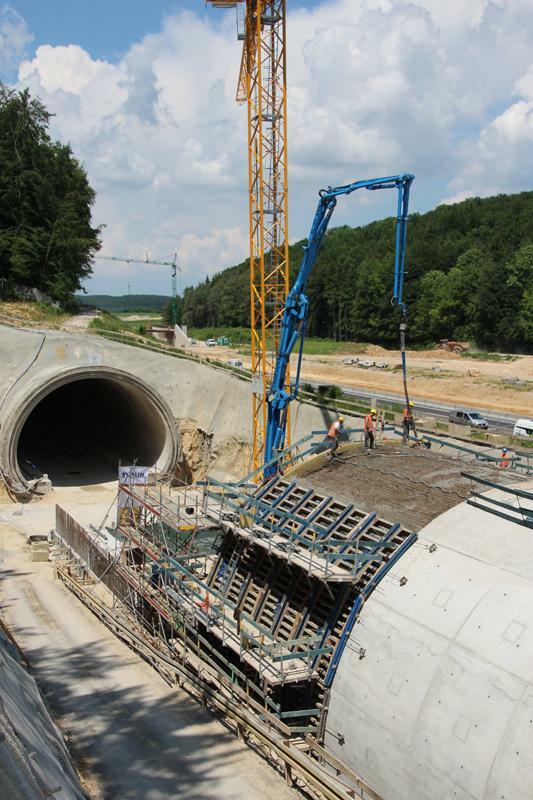 The railway tunnel Imberg is the last tunnel of this new section and is built with Doka tunnel systems. With a length of 499 metres, the tunnel consists of one double-track tube and will allow speed up to 250 kilometres per hour. 220 running meters are built in the mining construction method and 279 running meters in cut-and-cover construction method. 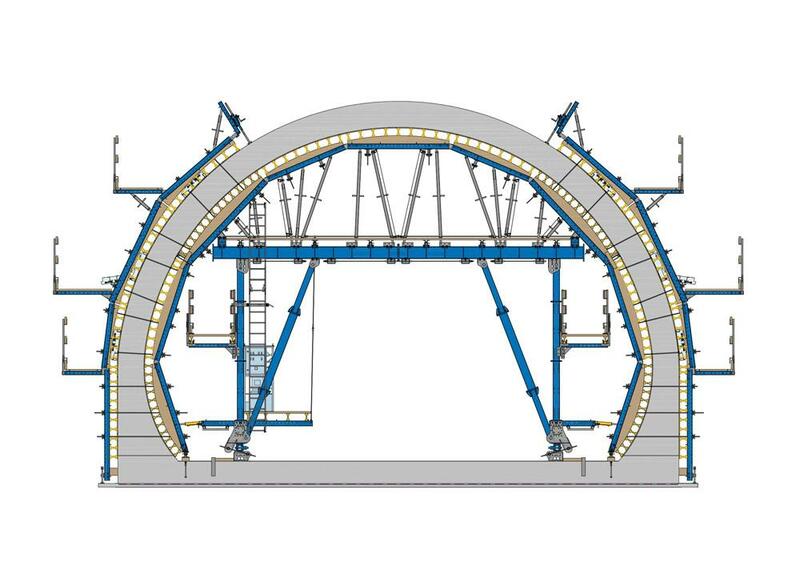 A movable forming wagon with a passageway is carrying the inside formwork for the tunnel cross section. 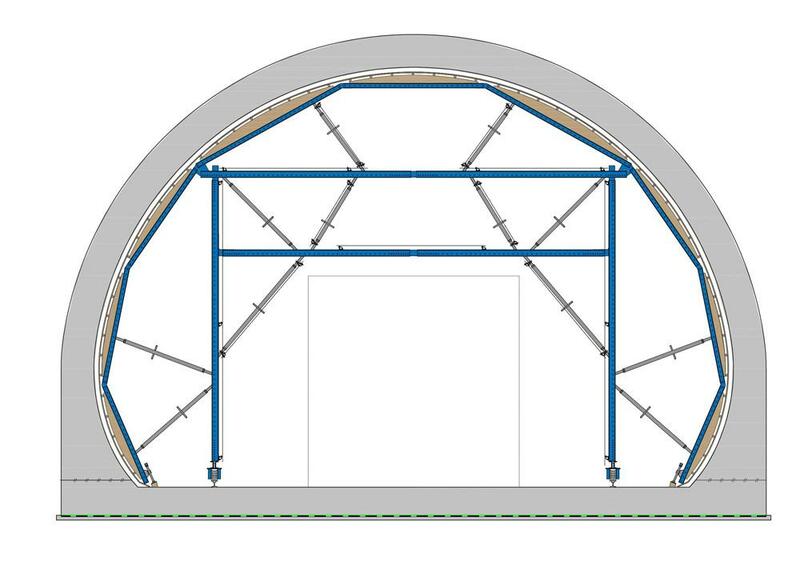 With 10.4 metres length, it is designed for up to 10 metres long pouring sections. It consists of the new tunnel system DokaCC. A Doka on-site assembly team mounted it together and handed it over to the site, ready for use. 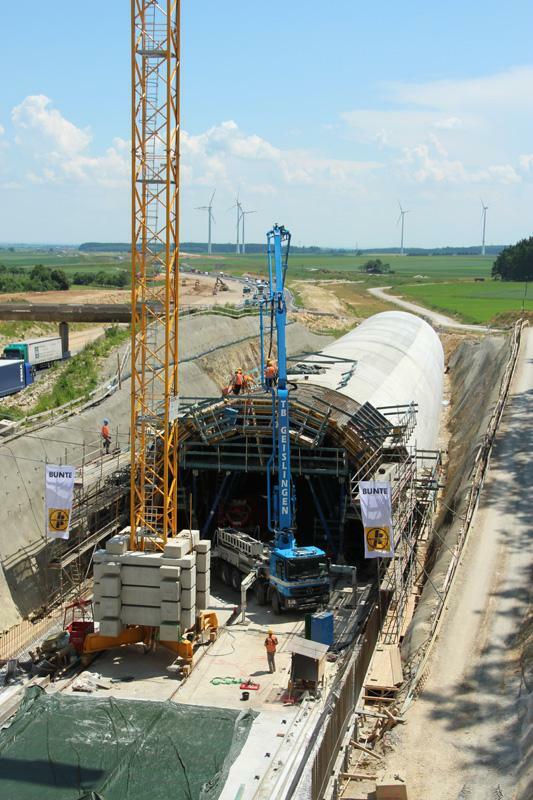 Every Tuesday is time for concreting and on Wednesday around noon, the tunnel vault can already be stripped. 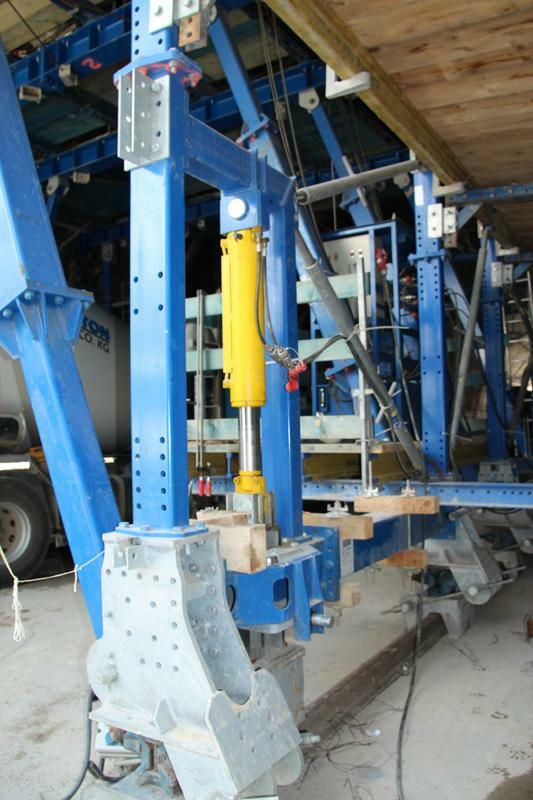 This means the formwork traveller is lowered and moved to the next section. Senior site manager Thomas Lüpping confirms: "The system works very well. We are right on schedule regarding the concrete work." 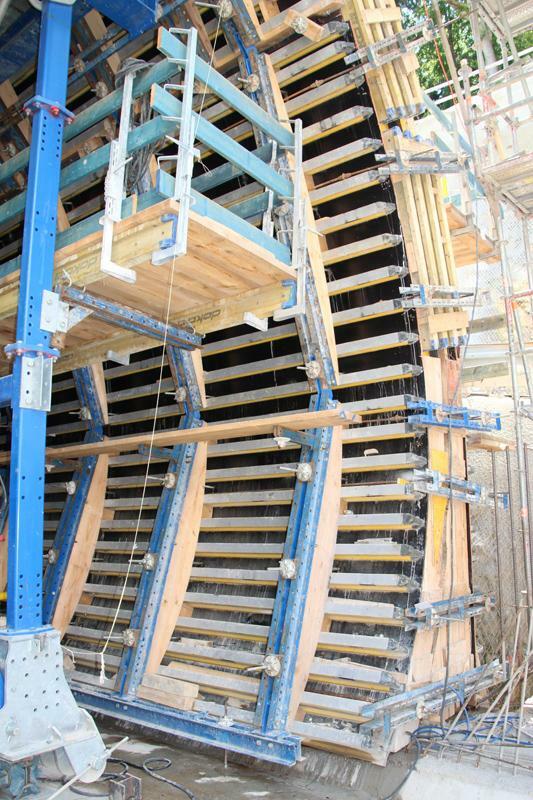 An after-treatment traveller is in action to take care of the inside formwork. It consists of a moveable supporting construction made of Top100 and Top50 components and a substructure of walings and scaffold tubes. Thank you for your interest - Tunnel Imberg. Thank you very much for your interest - Tunnel Imberg.